★ Ideal DIY Sticker: 5 different Sizes and 30pcs round stickers can fully enrich your artistic imagination and create a harmony, peaceful and romantic home for your loved. ★ Safe and Waterproof: This acrylic mirror sticker is non-toxic, non-friable, environmental protection and anti-corrosion. It is as clear and reflective as class mirror, but not sharp and fragile without any damaging. 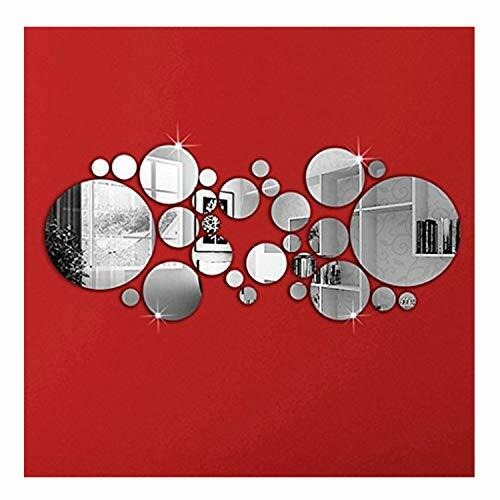 ★ Removable: This decal wall sticker can be ease to paste and removed without harm to your wall. 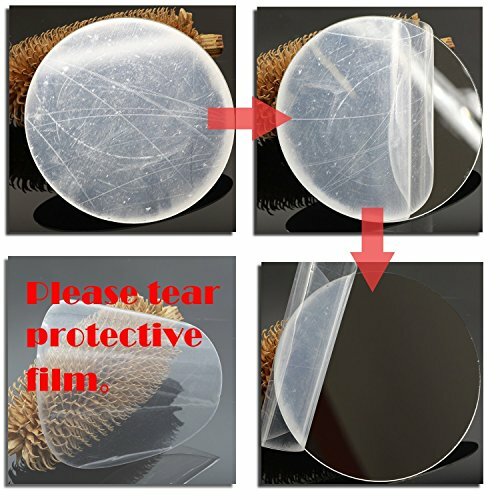 There is a protective film which is used to protect the surface. Please peel it off before using. ★ Light Weight: It is fixed easily by provided double sided adhesive and also portable as a decorative mirror. ★ Wide Application: It is ideal to decorate different occasions like TV backdrop, Sofa Wall, Window, Door, Closet, Freezer, Cabinet, Tiles, Nursery, Bathroom, Bedroom and Office. 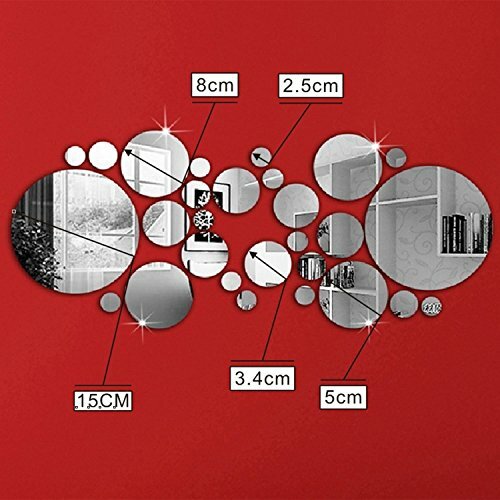 Exquisite DIY Decorative Sticker for 30pcs high quality different sizes acrylic mirrors. Safety and environmental protection: Non-toxic and non-friable. Remove and paste easily by self-adhesive features. Perfect for home decoration, interior design, furniture ornamenting and art deco. 4. choose your area and stick on.